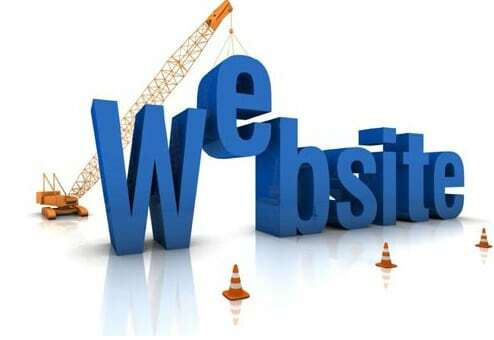 Are you looking for ways to earn an extra income by creating a website? Do you want to build an e-commerce website like eBay and sell a product? Or do you want to know how much it cost to build a WordPress blog and promote affiliate items? Well…today is a good day for you because the average cost to build a website or blog is only $16. 1. Domain name: A domain name is the name of your website. 2. Hosting provider: A hosting service or hosting provider is a company that will place your website on their world wide web server. This will make your website active to anyone on planet Earth(and Mars). One of the world’s best name registrars where you can get a website name is NameCheap.com. It only costs a one time fee of $10 and that’s it. You will need to renew it at the end of the year. NameCheap will send you an email one year after purchase to remind you. Or you can select “enable autorenewal” during the checkout process. Simply type whatever name you desire in the search box in the center of the website and click “Search”. You will now see a lot of options. Try to get a .com, .net or .org for your website. These extensions are the most popular with search engines. Click on the shopping cart to the right of your choice. Next, click on “View Cart” and follow the steps to purchase your domain name. As stated earlier, you can select “enable autorenewal” as you proceed to confirm your order. I’ve been online since 2007 and I’ve tested tons of hosting companies. Some were expensive and some were terrible with their service. Don’t make the mistakes I made. Go with the best and it will save you a lot of headaches and sleepless nights. Therefore, I highly recommend HostGator. It only costs $6 a month for a Baby Plan account. Awesome! $6 x 12 is how much it cost to host a website for a year. A McDonald’s lunch featuring a Big Mac, fries and coke cost more than $6. So anybody can start their own business online and make a lot of money. It does not matter if you have one website or 500 websites. You only need one $6 HostGator Baby Plan account and you can place all of your websites into that one account. What a deal! Now, there is also a Business Plan HostGator account that cost only $10. This type of account is perfect if you want to build an ecommerce website or blog. You will receive a 1-800 toll free phone number, your own IP address and much more with a Business Plan account. Congratulations! You now have your website name and hosting service! You ROCK! Check your email inbox and you will see a receipt from HostGator. Make sure you save this email or print it out. It will contain important information that you may need in the future in case you want to cancel or ask for a refund. You must log back into NameCheap.com and input these name servers with your website name. This is very easy! So…log into NameCheap, place your mouse cursor under your username and you will see an option called “Manage Domains”. Click it. In the box in the center of the page, you will see your website name. Click on it. In the left column, you will the name, “Domain Name Server Setup”. Click on this. Select “Specify Custom DNS Servers” and type in the HostGator’s name servers they provided you in your email receipt. Last but not least, click “Save Changes”. And that’s it my friend. You are done! After writing my first three steps above, I later discovered that a lot of people want an instant “easy-to-build” website which requires very little maintenance. 10 years ago, a free no-cost website was not an option. However, thanks to the advancement of the internet, we have evolved! I did some extensive research and found a trusted and proven company called Wix. You can join free and acquire your own free website at Wix.com. They are new and it appears they are trying to build up their brand by giving away these sites. You Can Obtain a Free Website Here!In addition…. You can start customizing your website or blog by adding the WordPress platform on it within your HostGator cpanel. Or you can simply have HasiGirl at Fiverr.com to do it for you. If you have any questions, you can contact me at ceo@estrongmarketing.com . Or you can chat with the nice people at NameCheap or Hostgator. Both of their customer service departments are top notch! So, as you can see it doesn’t cost much to build a website. Plus you can get one for FREE. So there is no excuse. Get started now! To me, a website is a valuable asset like a business! Let’s say you have a website that sells an Amazon product and it generates you about $500 a month. The next thing you do is build another website that targets a different item. Rinse and repeat! Imagine having 10 – 20 websites and each makes you $500 a month. That’s life changing income! Please share this article on Facebook , Google Plus and Twitter and comment below! Thank you so much.